Since 1978, Fair Oaks Mobile Locksmith has been the premier choice for residential and commercial locksmith service in Fair Oaks, CA and the surrounding areas. We strive to be prompt, professional and thorough in assisting you in your time of need, and we deliver a number of critical services to help you stay safe and secure at all times. If you’re locked out of your home and require locksmith or just need a re-keying service in Fair Oaks, CA, make sure you’re putting your trust in the hands of Fair Oaks Mobile Locksmith! For more than three decades we’ve been providing critical locksmith and key services to customers throughout Fair Oaks and the surrounding areas, and in that time we’ve become supremely trusted for our quality work and professionalism. We take the utmost care in providing customers with a wide range of services—from simple locksmith services to crucial lock replacement in Fair Oaks, CA—because we know that your safety is of the utmost importance. Whether you need key duplication in Fair Oaks, CA to distribute amongst your family members or you’re looking for a more comprehensive service that requires a locksmith, it’s important to trust the expertise of Fair Oaks Mobile Locksmith above all others. We approach every job with a fresh outlook because we understand that every one of our customers is unique, with different needs. And while the process of something like lock repair in Fair Oaks, CA might be the same, every house and customer is different. That’s why we take pride in tailoring our services to each customer and giving you the peace of mind that comes with personalized service. 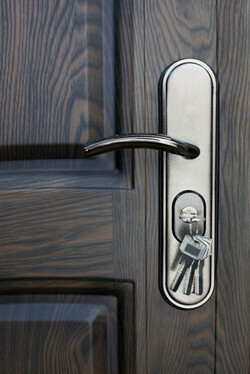 We are fully licensed, bonded and insured locksmiths in Fair Oaks, CA. We have more than 35 years of experience and expertise. We offer service outside of regular hours by appointment. We’re a local-owned and –operated business. Need a mobile locksmith in Fair Oaks, CA to come and assist you with a lockout, lock replacement or some other critical lock and key service? Contact Fair Oaks Mobile Locksmith today for prompt and professional service! Whether you need key duplication in Fair Oaks, CA, lock repair, a simple key duplication to crucial lock replacement, or locked out of your home, contact us at the link below.